he or she looks for foods rich in nutrients. Fruits are great source of different vitamins and minerals. Among all the fruits, some fruits are unique in that sense that they contain a lot of vitamin and minerals but are still can be found with very low price. which is also known as “Amla” is one of that type of fruit which is not only very much enriched in vitamin and minerals but also cheap in price. Its scientific name is Ribes uva-crispa L.
Orange is a popular fruit in the world. 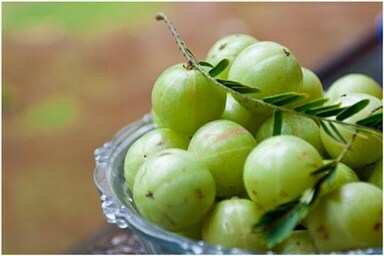 People take this fruits and know that it is a source of vitamin c. But you will be astonished to know that "Amla" or "Gooseberry" contains vitamin c twenty times more than that of orange. So that means eating twenty orange is equal to eating one gooseberry!!! Our body is not able to produce vitamin c. So we need to take vitamin c from our food source. Vitamin c works as an anti oxidant. Vitamin C is able to prevent, lessen, and even can reverse many degenerative health problems as like as disease of heart, cancer or malignancy, diabetes melitus, pain in joints, osteoporosis and Alzheimer’s disease. So, thus this fruit can help to keep us healthy in many ways. The calorie value of Gooseberry is low compared to other fruits. Hundred grams of fresh berries hold only 44 calories. So there is no problem for diabetic patient. Gooseberry contains significant phenolic phytochemicals, especially flavones and anthocyanins. Both of these compounds have been proved to have a great role against cancer, inflammation, aging, and neurological diseases. Gooseberry contains good amount of minerals like copper, phosphorus, calcium, magnesium, manganese, and potassium. A study from Japan conducted in 2005 confirmed that gooseberry or amla helps to reduce blood cholesterol level. In this study, an Amla product was administered to rats those having high blood cholesterol levels. Approximately Twenty to forty miligram of amla extract per kilogram of body weight was given to the rats. The amla notably decrease the blood cholesterol levels both in human body and in the experimental live rats. So, amla can significantly reduce our blood cholesterol of all type. 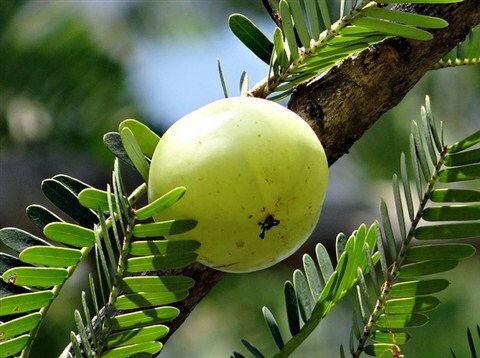 The amla had shown a positive effect on both the serum creatinine and blood urea nitrogen levels in aging rats. Rats were given amla extract for 100 days and then tasted. This study was done in Institute of Natural Medicine at the University of Toyama. Amla oil is very much popular in India as it has been shown to decrease the chances of hair loss. This is due to the carotene content of Amla, iron content and general antioxidant quality, which reduces hair loss by preventing free radicals to damage hair follicles. Eat an Indian Goosebeery daily and get relieve from many disease. Start today and you will be benefited tomorrow. Share it with friends and family and let them know about this cheap, healthy, high vitamin rich fruit.